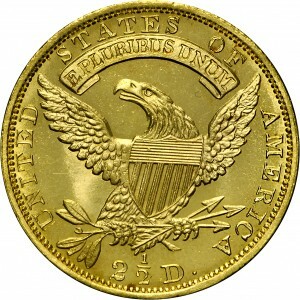 Just 4,520 examples of this variety were minted, with most survivors in higher circulated grades. Just this single die marriage is known. In addition to the circulation strikes, a very small number of Proof examples was produced. This Bass Collection specimen is one of the finest surviving Proofs, not just of the date, but of the entire design type from 1829 to 1834. 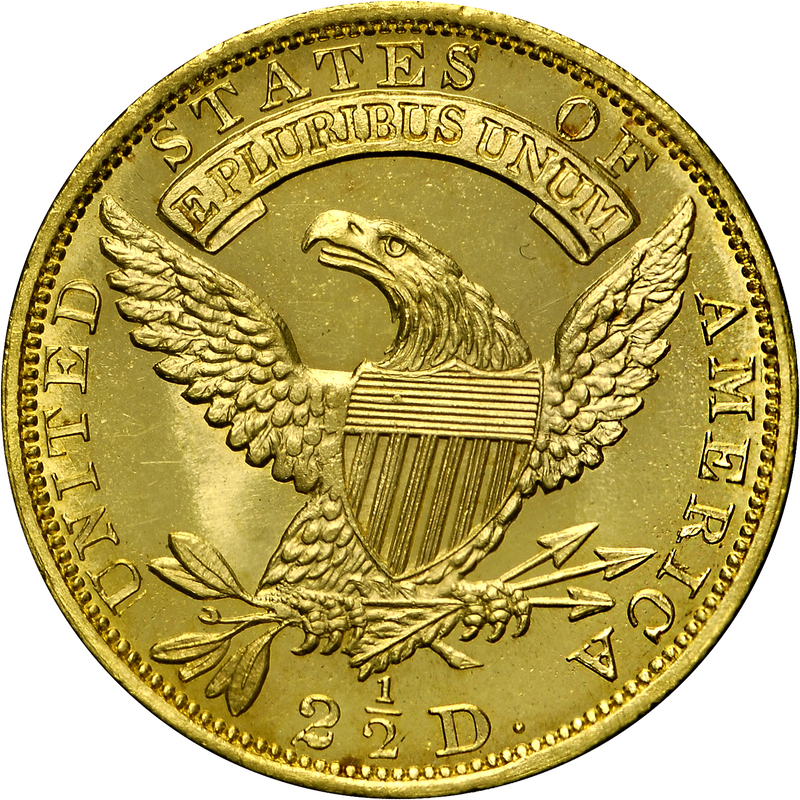 Eight Proof examples were pedigreed by Walter Breen in his Complete Encyclopedia of United States and Colonial Proof Coins. 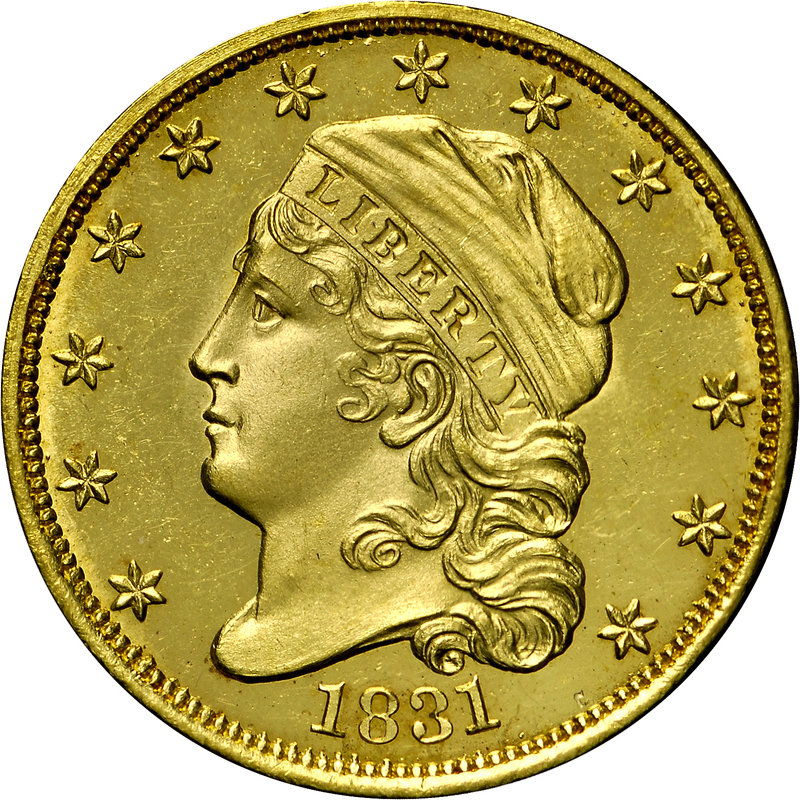 Among the surviving Proofs are examples in the Smithsonian Institution and the American Numismatic Society. 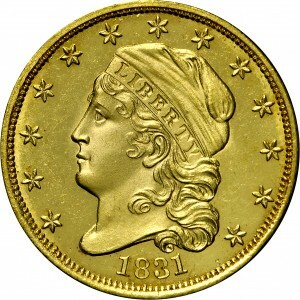 Purchased from Goliad Corporation, December 12, 1986. Previously from Rick Sear.